Radleys Metz Syn10 Reaction Station RR66600UNIT Reflux Head Parallel Synthesis . 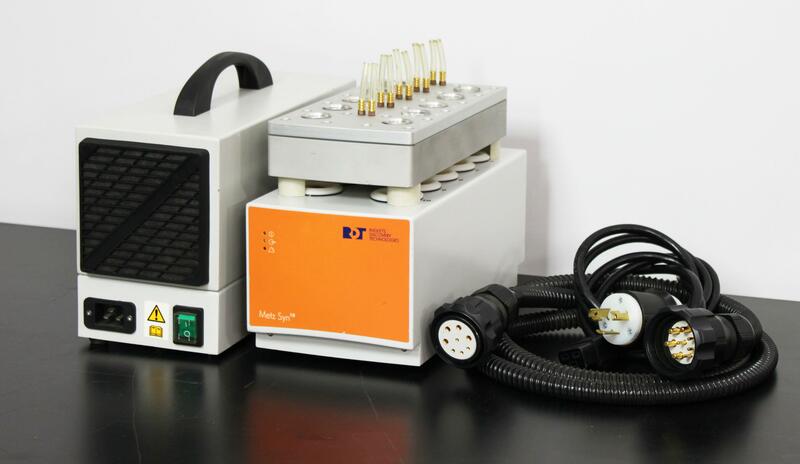 New Life Scientific, Inc.
Our in-house technician inspected and powered on this Radleys Metz Syn 10 Reaction Station, confirming the station to power on causing the green light to show solid and the yellow/red light to blink back and forth. The power supply fans and the led turns on as well. Does not come with the Syn10 control software.